Traditionally in any horror game, enemies have just one “health bar;” you kill them, and they’re gone for the rest of the experience. The challenge of games that focus on horror has to do with managing the threat level of the enemies with your limited resources. One of the biggest differences between action and survival horror comes down to the distribution of weapons. 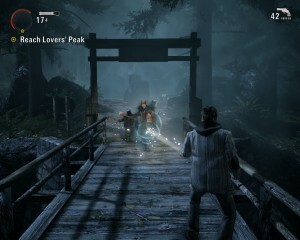 Most action-horror games tend to give the player enough ammo to adequately fight every enemy in the game. In the Dead Space series, once you get past the opening act, you are given multiple weapons, upgrades, and lots of ammo. Survival horror tends to have ammo in tiers. You’ll find a good amount of your basic weapon, decent of your average/bread and butter weapon, and rare amounts of your best/boss killers. 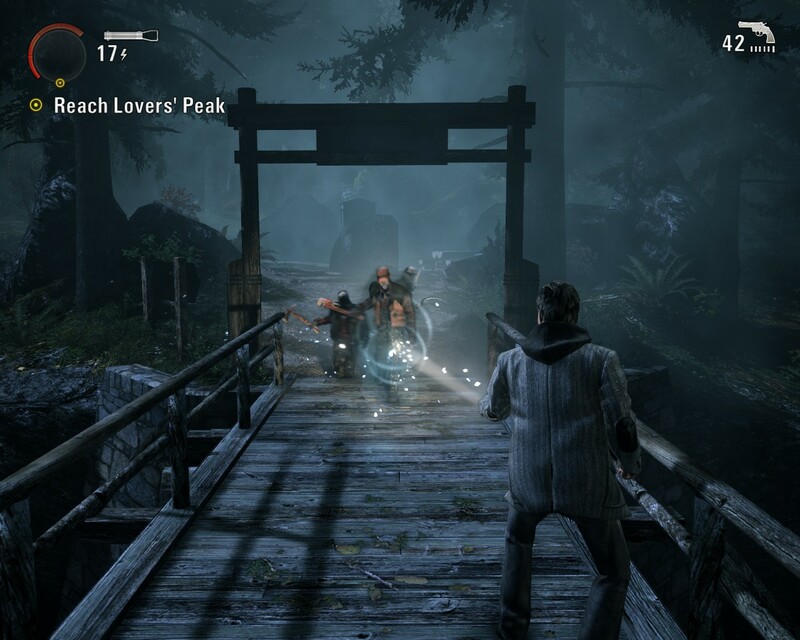 Threat management is an essential part of playing survival (or action) horror titles. Part of the thought process is not only knowing when to run or fight, but knowing how many resources to use on said encounters. Even though it would be easier to use your best weapons all the time, you would be left vulnerable for when heavier enemies show up. The push and pull between fight or flight has been a polarizing topic among game developers. Many indie developers have forgo the “fight” part of the equation; with games like Amnesia, Five Nights at Freddy’s, Outlast, and more. Their point is that having any combat will reduce the horror as the player becomes accustomed to fighting. With that said, let’s look at how Resident Evil 1 Remastered handled their new threat with the Crimson Heads. Crimson Head zombies were a feature unique to the remastered version of Resident Evil 1, and technically existed from the beginning of the game; new players just didn’t know that. What happened was if the player killed a zombie through normal means, eventually the zombie would come back as a crimson head. Crimson Heads were faster, had more health, and did more damage to the player. At that point, the player’s only option is to kill them again; using more resources to do it. To get around having to deal with them, the player could expend specific resources to stop the problem before it started. Weapons that could decapitate would prevent the zombie from coming back, but that ammo was rarer than handgun bullets. You could also burn the zombie’s body using oil and a lighter. While the lighter had infinite uses, there was a finite amount of oil scattered around the mansion. What made the Crimson Head zombies unique, and important to study, was how they fit into the fight/flight dynamic of horror design. As mentioned further up, because of how finite combat typically is, it can create a situation where the game becomes repetitive and lacks tension. This is a popular reason why many developers forgo combat in their games, as how do you keep the action from growing stale? The Crimson Heads created a different dynamic in horror design compared to the rest of the genre. It was no longer just about fight or flight, but short term relief vs. long term danger. There was literally no way the average player was going to kill every zombie and stop them from becoming Crimson Heads. That right there is the other problem with action-focused horror titles: Once you deal with the threat, then it becomes out of sight, out of mind. With Resident Evil Remastered, you had zombies purposely set up in choke points that the player couldn’t just get around (unless you were speed running). To add to the danger, zombies could move between rooms, and there were several scripted events of adding zombies to previously safe areas. The mansion’s layout was explicitly design to have short cuts and multiple ways to get around, but it also affected strategy. Do you go through an area that is quicker, but you left bodies and potential Crimson Heads to deal with? Or do you go the longer route, but may have more regular zombies. Any area where you left dead bodies behind could become dangerous again at some point in the future. With the limits on ammo, and more importantly, ammo that could kill Crimson Heads safely, kept the player on edge. In a way, Resident Evil Remastered managed to partly solve the problem of balancing horror and combat, by creating an escalated situation. 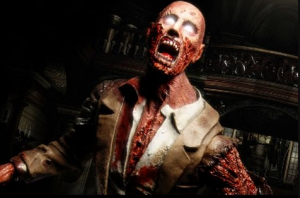 Both Resident Evil Remastered and Alien Isolation were able to create horror alongside combat by inventing a new tier of enemy for the player to encounter. Crimson Heads and the Alien both operated on different rules; with the Alien obviously being more advanced. By forcing the player into a situation where combat is no longer the easy situation, it kept the player tense no matter how many other enemies they easily took on. The only other horror game in recent memory that tried to create that sense of escalation was The Evil Within, and how you had to finish off enemies to stop them, but I felt that it was still far too easy to permanently put them down. There are creative ways of dealing with enemies just as there are those for avoiding them; can you think of games that had interesting enemy designs in a horror setting?